1. Verify the information in the rental application. Tenant fraud is a problem for all landlords, big and small. 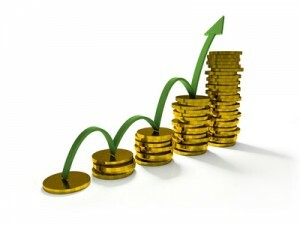 In fact, many smaller landlords are targeted by fraudsters due to the perception that these landlords are lax. While demanding that the applicant complete and sign a rental application form is a good first step, the work of screening tenants doesn’t stop there. That information must be compared to an outside source for verification. A landlord cannot rely solely on information provided by the applicant. Verification doesn’t need to be difficult or time-consuming. The simple act of speaking with references is an easy way to verify information. Another is to speak to the employer or simply call into the employer’s main line and ask for the applicant’s voice mail. Those are easy ways to discover whether a tenant is telling the truth — or pulling a scam. 2. Conduct routine property inspections — or hire someone else to do it. According to Jim Garnett with Canadian Tenant Inspection Services Ltd., the dangers of failing to conduct regular inspections are all too real. Garnett has witnessed a variety of problems, including marijuana grow-operations and tenants who have vacated and sublet the property to strangers. In one case, a water leak was detected before causing extensive damage. Those landlords who don’t wish to conduct their own inspections can hire a firm like Garnett’s to do the work. Failure to perform those periodic inspections can result in damage that is not covered by insurance, so ignoring this crucial step in property management is not an option. For more information, see our blog post Understanding the Risks of Failing to Conduct Regular Property Inspections. 3. Take legal steps at the first sign of trouble. No one wants to go through dispute resolution but profit margins are too tight to play games with bad tenants. At the first sign of trouble — missed rent, chronic late payments, property damage — research the legal options, serve the notice, and get a hearing date set. There is always the option of settling with the tenant before the hearing, but landlords can’t afford to fall for a tenant’s empty promises. This strategy not only minimizes lost income in the event a settlement is not reached, but it also provides a negotiating advantage by creating a sense of urgency. Given the delays in landlord-tenant tribunals, it is imperative to get in line as soon as possible. Are you a landlord or a banker? The distinction may not be so clear to your tenants. With increasing rental regulations and political rhetoric painting tenants as victims and access to rental housing as a right, bad tenants are emboldened to take advantage by signing a tenancy agreement and paying late — or not at all, knowing it could take the landlord months to get an eviction order. While tenants are not paying rent, they are free to apply their money to more pressing creditors — phones, cars, credit cards. Those creditors provide immediate consequences, like discontinuing service. For landlords, accountability is a little tougher. When running a tenant background check, ask the previous landlord if the applicant missed payments or paid late, AND what the landlord did about it. Did this applicant get away with it? Avoid providing a grace period or late fees in the tenancy agreement. This encourages renters to pay late, use the money for something else, and suffer the nominal consequences rather than paying on the due date. Report Rent Payments to a credit bureau. 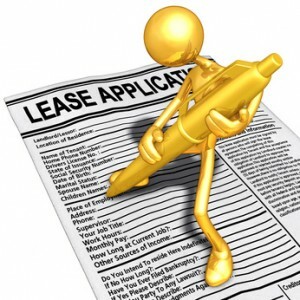 Include the Notice to Tenant in the tenancy agreement and go over the Notice with the tenant at lease signing. Knowing there are consequences might hinder the tenant who is considering exercising their “line of credit” by paying late and then making up the rent payment later. React when a tenant pays late. Report the late payment and prepare to take legal action. Do not look the other way or bargain with the tenant to pay in installments. Once a tenant sees the opening, it may happen again — and again. Investigate automated payment options that allow the landlord to process rent payments on the due dates. Send a reminder to tenants a week or 10 days prior to the rent due date. Report tenants who have defaulted on rent to Landlord Credit Bureau. This database is available for the next landlord to search and provides accountability. Provide a landlord reference to future landlords so bad tenants cannot use loopholes in the eviction process to their advantage.